Deep-field research investigations are supported by our Air Operations team. Flying in some the world’s most spectacular locations as part of a close-knit team conducting research that really makes a difference to our understanding of the world can be immensely rewarding. Interested? Read on ……. Pilot positions within BAS are normally, but not exclusively, open ended contracts. Benefits include a pension scheme, loss of licence insurance, free food and accommodation while in Antarctica. Attendance will be required in June for Pilot Training. 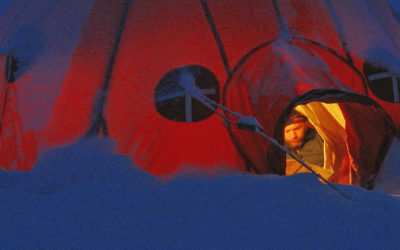 Polar pilots spend a considerable amount of time away from the comfort of our research stations, camping in sub-zero temperatures in remote areas often with only one other person for company. 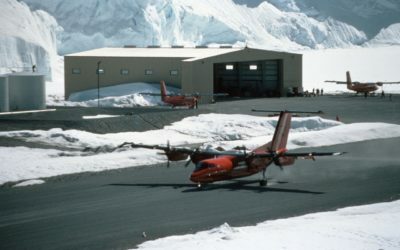 During the Antarctic season (start of October to the end of March) pilots are either ferrying the aircraft to/from Antarctica or supporting field research teams in Antarctica. Pilots’ duties include all aspects of the aircraft operation except maintenance. This means loading, cleaning and refuelling aircraft as well as other housekeeping tasks around the research station. 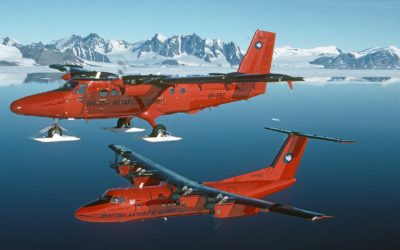 Twin Otter aircraft are operated by single crew with at least one other person with the pilot at all times. This can be a member of the science or support teams. A two-pilot crew flies the Dash-7 aircraft. The requirement is a minimum of 2500 hrs total time and this can include some rotary time if relevant. 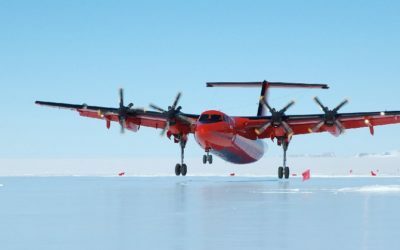 Twin Otter ratings, ski time or any other specific flying experience is not required. Pilots must hold a UK, JAA/EASA, FAA or Canadian licence. These are accepted by the regulatory authorities who will issue a licence validation on completion of training. Pilots are expected to have good leadership skills, be comfortable and self-reliant in a remote environment, and play an active role in ensuring that field camps are run efficiently and safely. The following video, taken during essencial scientific instrumentation trials, reveals a glimpse into the beauty of flying in such a stunning environment. During the northern summer (usually in June) pilots undergo annual training. Occasionally there may be some training at other times. Aircraft maintenance and training facilities are located in Canada. 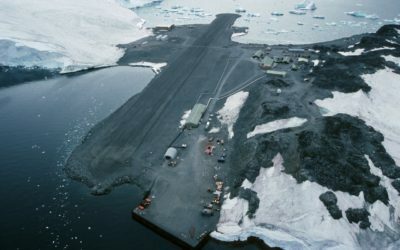 Pilots can expect to spend around 30 weeks of the year away from home, including time carrying out post maintenance flights, and in some cases trials, Arctic operations and ferry flights. BAS carries out type conversion training, normally, in Canada and is a combination of simulator, aircraft and ground school. Pilots experienced on the Twin Otter will do a Flight Safety recurrent course and be expected to pass a company check flight at the standard equivalent to a UK CAA LPC even if they do not hold a UK or JAA licence. 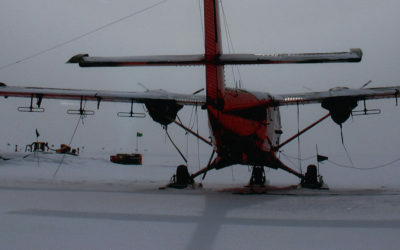 Ski training is carried out once the pilot arrives in Antarctica. Line training and a gradual build up follows with some flights in company with another aircraft. As experience is gained pilots will be given longer flights and more challenging tasks. It will usually take a pilot two seasons before becoming competent to complete all regular operations. In addition to aircraft training pilots must complete a comprehensive first aid and field craft programme as well as a number of BAS specific courses for specialist operations. There is a strong sense of camaraderie on research stations and at deep-field parties. Outside of work there are opportunities for recreation such as skiing and climbing. Our research stations are well-equipped with libraries, gyms, a bar and music room. Keeping in touch with family and friends by email or phone is easy from the research stations – but of course, rather more limited from field camps. 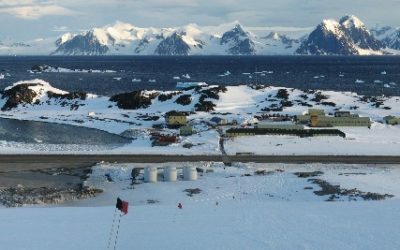 If you would like the opportunity to work with British Antarctic Survey please contact us.